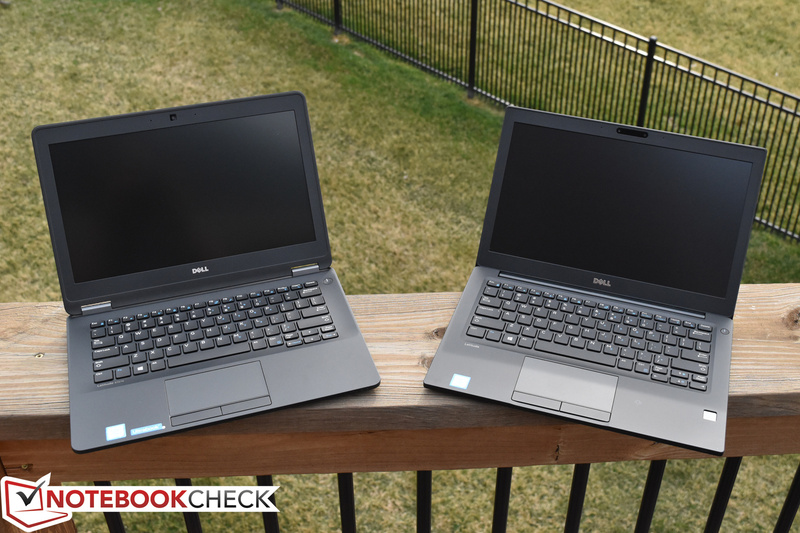 Several months ago, we evaluated the Dell Latitude E7270, which we declared a worthy successor in the highly-acclaimed Latitude 7000 series of business notebooks. This extremely portable device lacked the flair of top-rated consumer-grade models (such as the XPS 13), but in the realm of practicality, we found little to criticize—only the subpar color space coverage, touchpad performance, SSD variety, and webcam quality. It has long been assumed that business machines need not share the sleek styling and luxurious sensibilities of high-end consumer-grade fare, but (in line with the competition) with the introduction of the Latitude 7280, Dell has begun taking further steps toward repealing this longstanding notion. Sure, the screen isn’t as beautiful, the svelte aluminum casing doesn’t apply, and the bezel isn’t razor-thin. But this Latitude is thinner and lighter than any of its direct predecessors, and the footprint has shrunk appreciably as well. This has all occurred alongside the tactful preservation of most of what defines a business PC: a subtle, understated case design, versatile connectivity options, and a functionality over form foundational philosophy. Our Latitude 7280 review unit features an Intel Core i7-7600U CPU, 8 GB DDR4-2400 RAM, a 256 GB M.2 SSD, and a 1080p IPS anti-glare display. 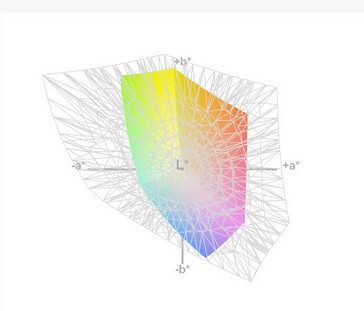 With these specifications, our configuration would cost roughly $1,830. Let’s see if it can justify that price tag—and live up to its pedigree—in our rigorous array of tests, benchmarks, and extensive scrutiny. Though it has shrunk somewhat noticeably since last year’s Latitude 12 7000, the 7280’s case still feels as sturdy as ever. There is hardly any flex across the breadth of the base unit, and torsion (twisting) resistance is fairly high as well. 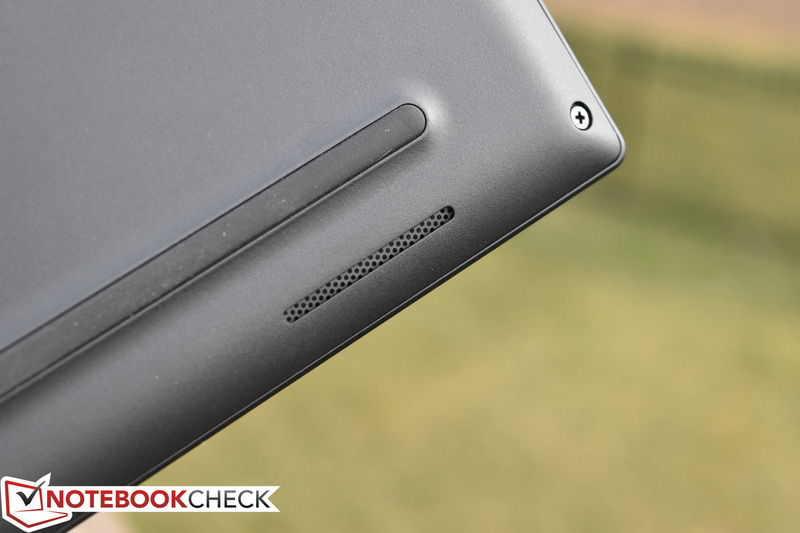 The same goes for the display lid, which—while quite thin—provides admirable protection to the display panel. 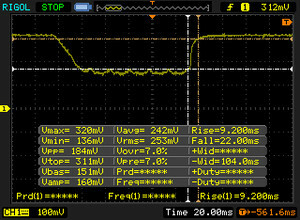 Little to no LCD distortion is evident when pressure is applied to the back of the lid. 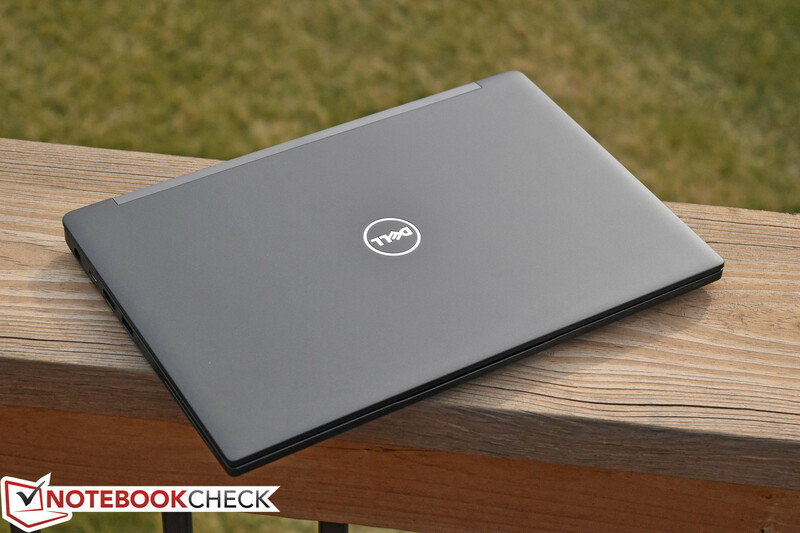 The 7280’s case is crafted primarily out of magnesium and coated with the familiar soft-touch black paint that Dell has used for its past few Latitude 7000 revisions—so that the exterior feels almost rubbery, and consequently it provides a comfortable grip. The downside to this paint is that it also collects and tends to hang onto fingerprints and skin oils, which can be a bit of a nuisance to anyone paying close attention. Although we’ll cover this in greater detail later, the positioning of the CPU in the center of the machine in conjunction with the relocation of the exhaust vent to the hinge cavity really make the 7280 a joy to use on the lap. 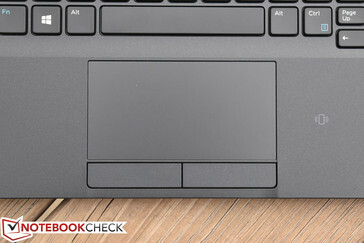 And thanks to Dell’s choice to retire the old (tiny) rubber feet in exchange for an XPS 13-style solution (two large, horizontal strips of rubber which elevate the machine slightly for better cooling and ergonomics), the notebook stays much more confidently in place while resting on a flat surface. 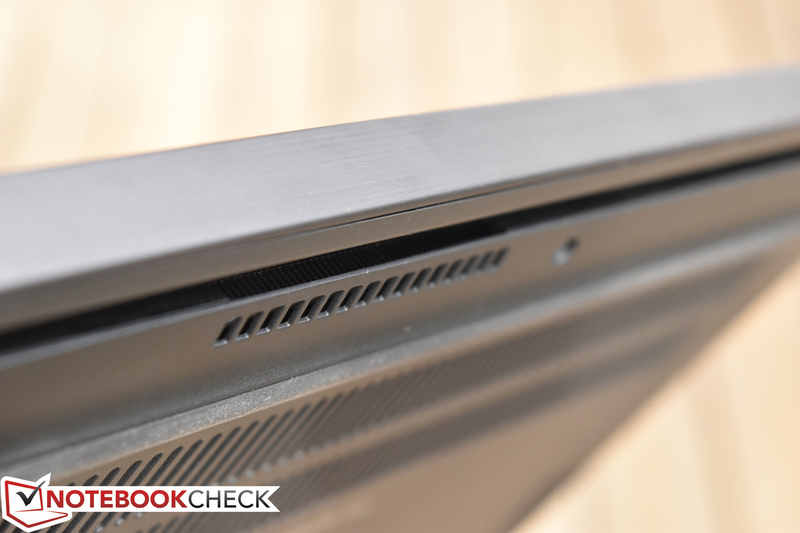 Speaking of the hinge cavity, the two hinges flanking the top of the base unit have now been replaced by a single large hinge, once again in the vein of the award-winning XPS 13. This brings the display lid closer to the surface while open since it now rotates down behind the actual base unit during use, which precludes the location of any ports on the rear of the machine. However, the hinges still feel as tight and supportive as ever, and the display resists vibrations and bouncing as well as just about any we have evaluated. 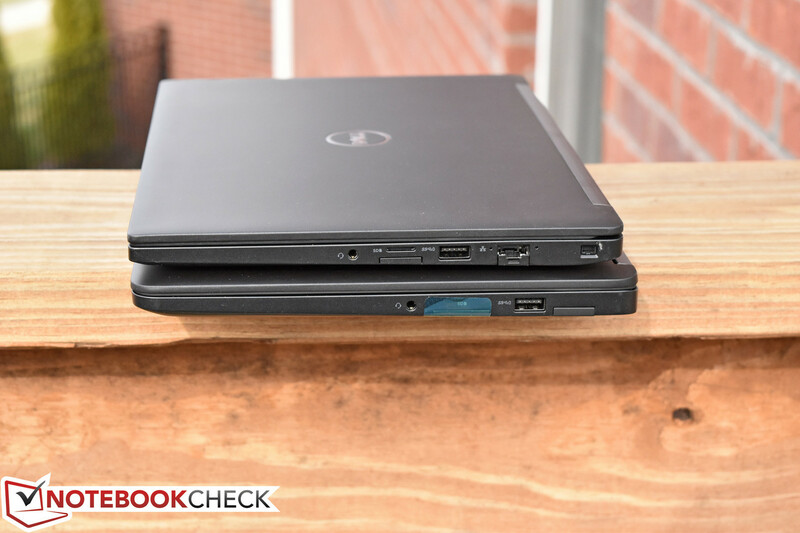 Although it is smaller and lighter than previous models, at 1.3 kg, the Latitude 7280 is still (of course) not quite as light as the XPS 13 (1.23 kg)—or even the HP Elitebook 820 G4 (1.26 kg). But it’s the most portable Latitude 12 to date, shaving yet another 84 grams off that of its predecessor (the E7270: 1.384 kg). 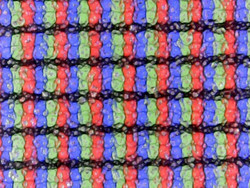 And the it’s also the smallest and thinnest notebook in our comparison field today, shaving 5 to 6 mm off length and depth and somewhere around 1 mm off height/thickness. For sake of context, the XPS 13 is quite a bit smaller still, at 15 mm thick (versus the Latitude’s 18 mm) and a 201 x 304 mm footprint (versus 209 x 305 mm)—and, of course, thanks to its ultra-thin bezel, it even manages to fit a larger (screen 13.3 inches versus 12.5 inches). 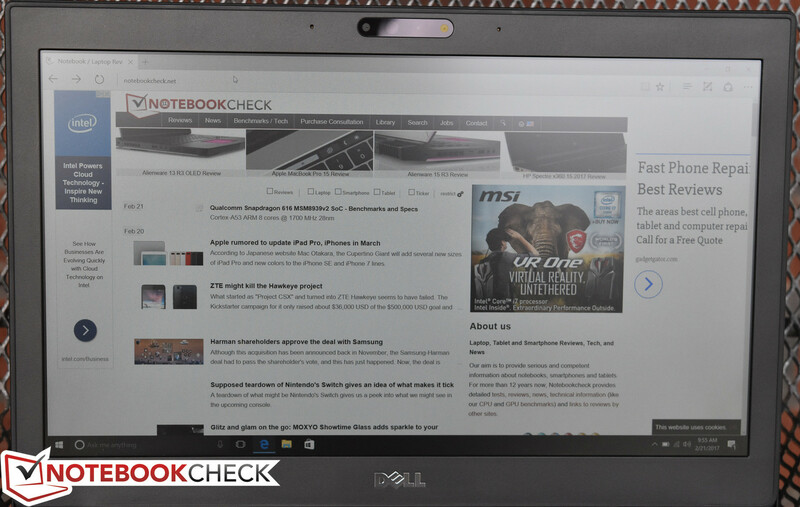 Nevertheless, the Latitude 7280 remains a very portable machine for the 12.5-inch class. No matter how you slice it, the Latitude 7280 has lost a bit of ground in the realm of connectivity over its predecessor. The number of full-sized USB 3.0 Type A ports is down to 2, though a third USB Type-C Gen 2 / Thunderbolt port fills in for the missing one. However, also MIA is the mini-DisplayPort, presumably deemed superfluous in the presence of the new Thunderbolt port and the existing HDMI port (which remains). The SD card reader has also shrunk down to MicroSD size, which isn’t nearly as versatile. The Ethernet adapter has finally adopted a bottom flap design thanks to its migration to a slimmer edge (see the next section for more details on this). And perhaps most importantly (to business users, anyway), the E-Port docking station connector on the underside is completely gone—again, surely in anticipation of a move to Thunderbolt docking hardware instead. 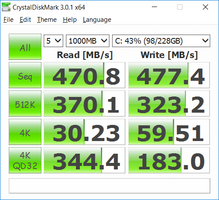 The SD card reader has been reduced to SD Micro form factor, but the performance is at least still quite good. For WLAN connectivity, the Dell Latitude 7280 includes an Intel Dual Band Wireless-AC 8265 wireless adapter, which is capable of speeds up to 867 Mbps. 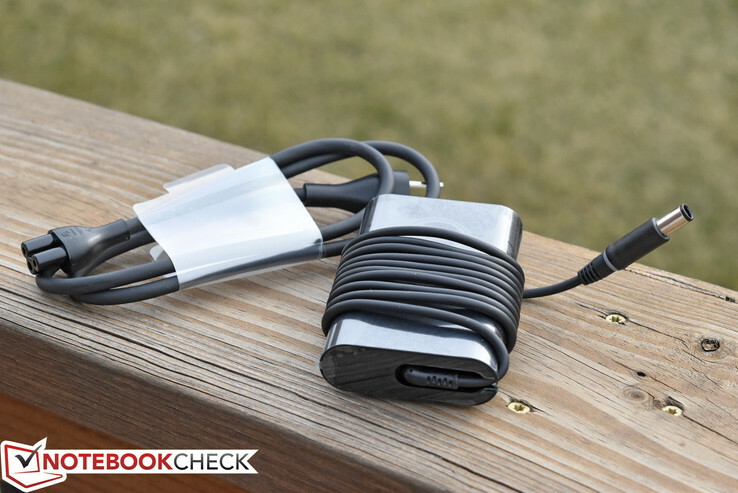 Like most, this adapter also provides Bluetooth connectivity. 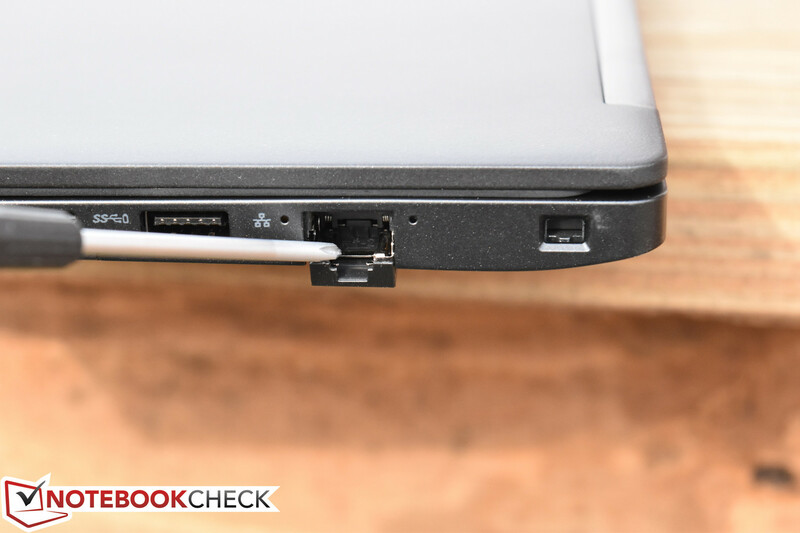 While previous Latitude 7000 models crammed the Ethernet port snugly into the rear hinge cover (due to its slightly broader surface area than the rest of the case edge), the 7280 eliminates this surface in exchange for the integrated center hinge. As a result, the Gigabit Ethernet port has moved to the right side of the case and, as mentioned above, now incorporates a collapsible bottom-flap design to ensure it fits. 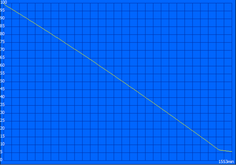 While the design might be slightly less convenient, at least the migration of the port to the sides of the machine could be interpreted as an improvement. Out Latitude 7280 configuration includes a Touch Fingerprint Reader, FIPS 201 Contacted Smart Card, Contactless Smart Card, NFC, and Control Vault 2.0 Advanced Authentication with FIPS 140-2 Level 3 Certification. 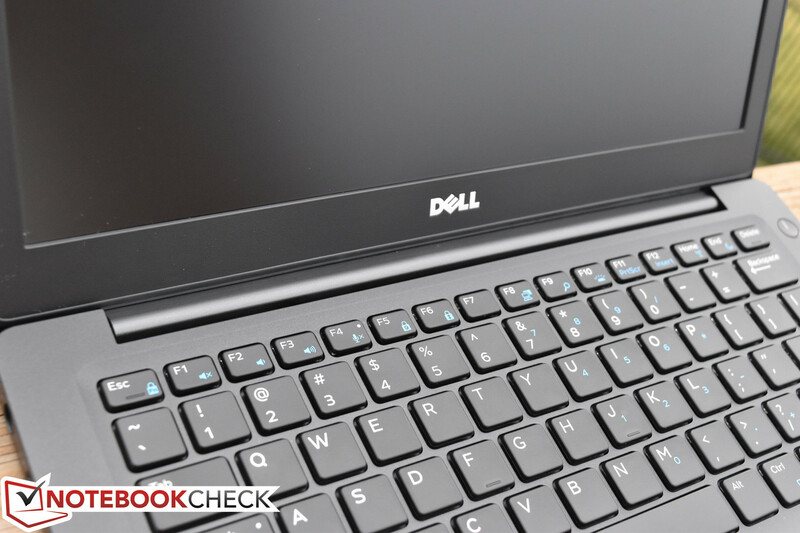 Also included is the Dell Client Command Suite with Optional Dell Data Security and Management Software. Latitudes, like other professional devices in their market, are built for business and enterprise-grade management. 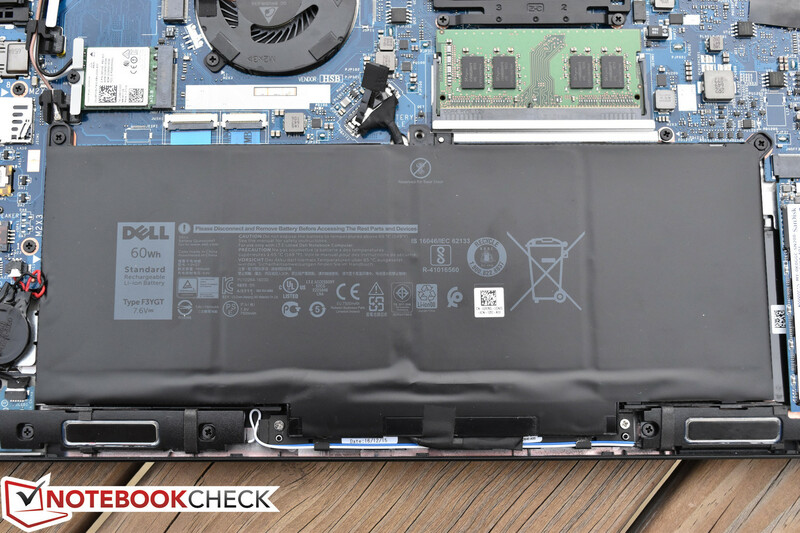 The Latitude 7280 only includes an AC adapter in the box—the standard Dell 65W ovular adapter which has been distributed for years now as the primary Latitude 7000 series charger. The adapter weighs 294 g.
Most every major replacement component is accessible from behind the bottom cover—and that cover is easily removed after eight Phillips-head screws are removed. Inside, you’ll find the battery, WLAN/WWAN adapters, a single RAM slot, the M.2 SSD, the heatsink/fan assembly, and the CMOS battery. The DC jack is also thankfully still easily replaceable (so soldering necessary) in the event of breakage via a single screw and a plug. 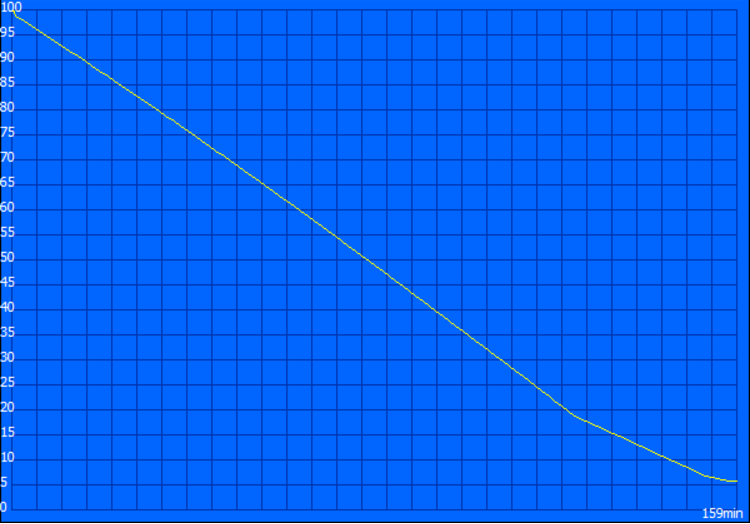 However, of course, the size reduction that the 7280 incorporates does not come without its challenges. Although the Latitude E7270 already required the removal of the motherboard to facilitate a keyboard replacement, the 7280 maintains this unfortunate trend. 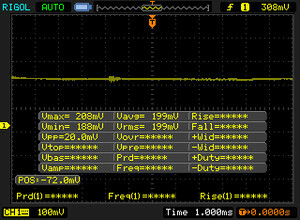 Furthermore, thanks to the new display assembly design with the central hinge and slimmer bottom display border, LCD replacements—should they ever be warranted—now require considerable disassembly (removal of the base cover, battery, WLAN/WWAN cards, and the entire display assembly) before the bezel can even be removed to provide access to the panel. 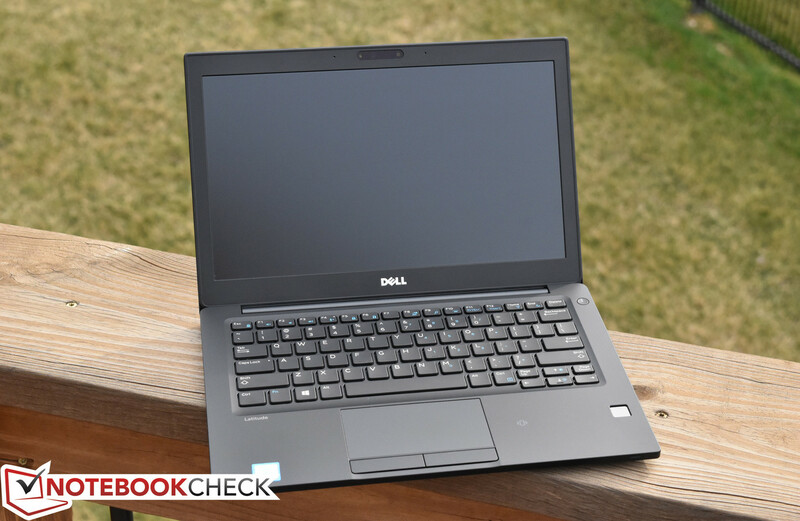 Dell includes a 3-year, on-site warranty with the Latitude 7280. Upgrades are, as always, available for additional cost. Please see our Guarantees, Return Policies and Warranties FAQ for country-specific information. 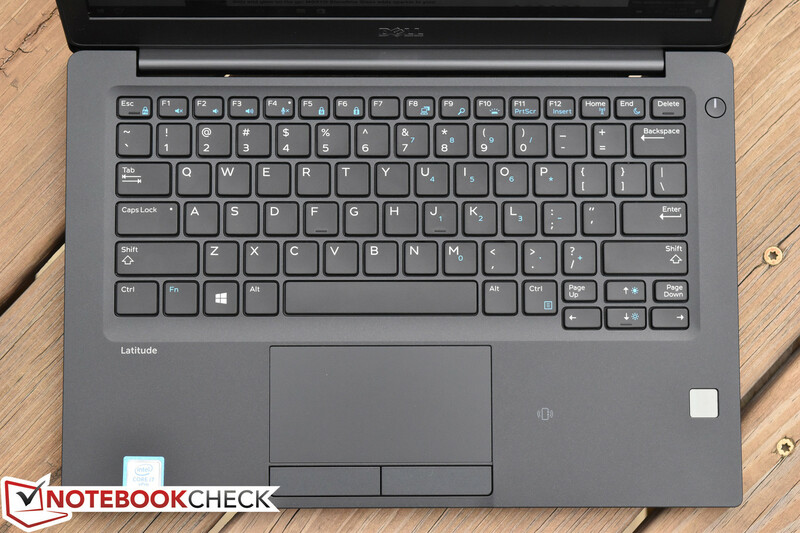 In spite of its thinner design, the Latitude 7280 still manages to maintain a comparable keyboard feel and quality—something which we consider to be a critical aspect of business devices. The 7280’s keyboard features key travel which palpably exceeds that of the XPS 13 (one major advantage over the latter, whose case is also consequently quite a bit slimmer). 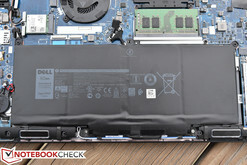 Actuation force and feedback are nearly identical to that of previous models in the Latitude 7000 series, and since we have long proclaimed those keyboards to be amongst the best in the industry, nothing has changed here in that regard. Layout, key sizing, and spacing also feel familiar, with the unorthodox arrow key/Page Up/Page Down combo still present in the lower right corner. 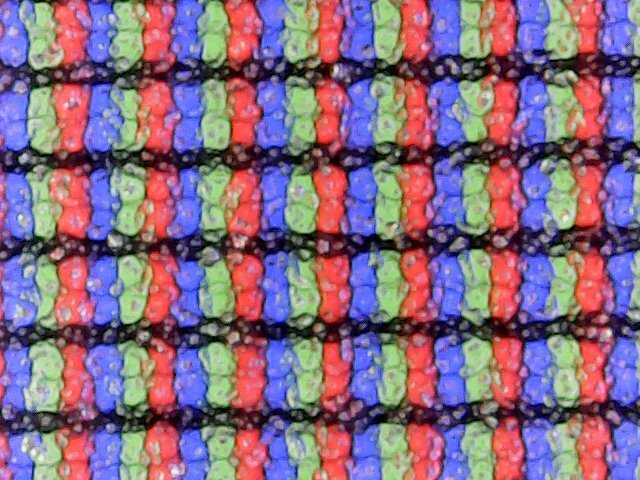 The surface of the keys is smooth and comfortable and seems to be of high quality, and they are affixed tightly so as to prevent rattling. Typing is quiet and unobtrusive even in spite of the excellent sense of feedback. The keyboard in our review unit is also backlit, and the backlighting is notably more evenly-distributed than that of previous models in the series. As usual, there are two levels of brightness to choose from, as well as completely off. We have long praised touchpads (especially on business models) with separate physical buttons, and the Latitude 7280 continues this trend with two very comfortable (and quiet) hardware buttons. However, the touchpad itself, an Alps Electric product, has lost ground somewhat over the years in comparison to its peers such as many Synaptics-brand touchpads and even the Dell XPS 13’s Elan touchpad, which we found to be excellent in spite of its integrated buttons. Regardless, it’s still decent, and most of the time, gestures and pointing work just fine. 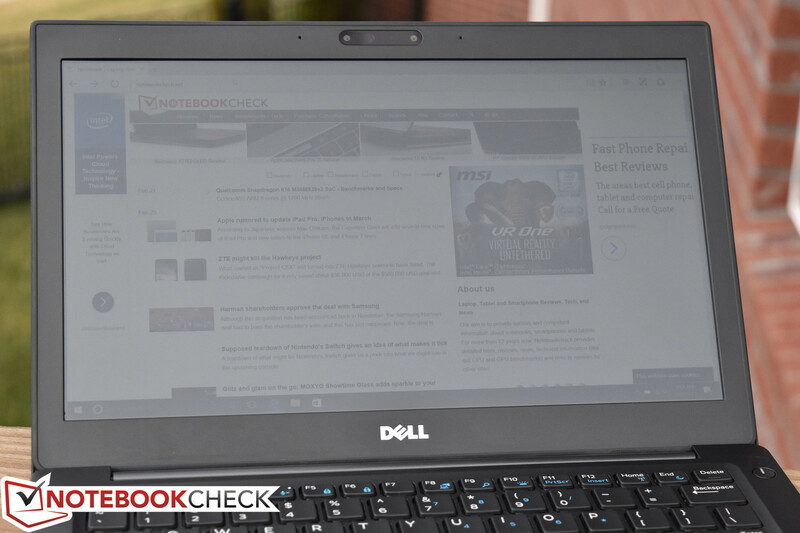 The finish isn’t as comfortable as that of the XPS 13, which features a smooth glass touchpad surface, but it’s roughly equivalent with that of previous Latitudes, which have shown to hold up well under heavy use for years. It’ll do, but we hope that this is one of the components slated for revision in future models—ideally while still preserving the hardware buttons. 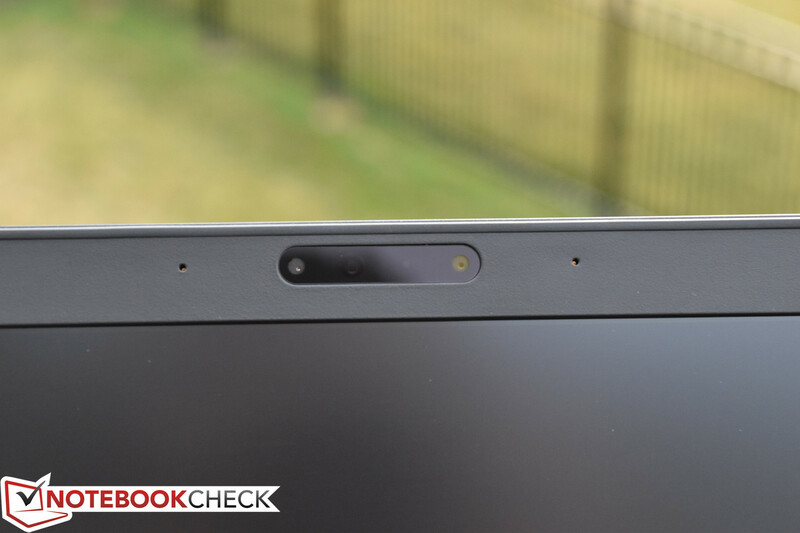 There is no TrackPoint on the Latitude 7280, but this feature is becoming less and less critical for most users. ...but the touchpad is nothing special. 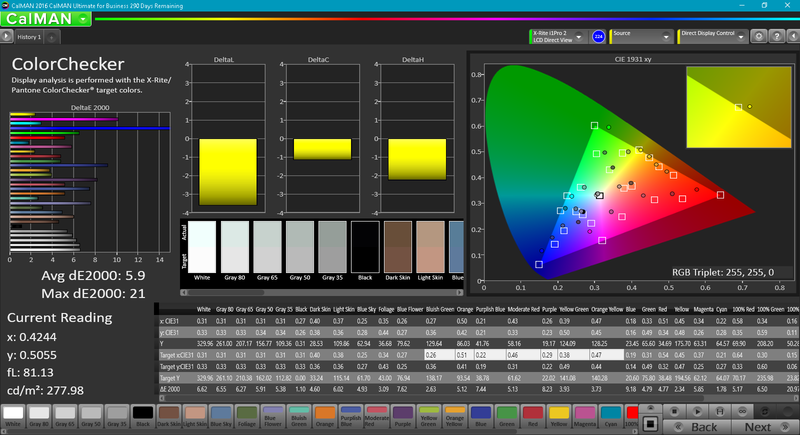 The display in our Latitude 7280 is an anti-glare, 1920x1080 (Full HD) resolution IPS panel which looks very similar to that of previous models. 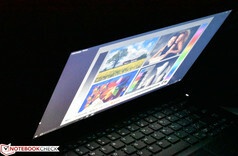 Subjectively, while brightness and contrast appear to be more than adequate, colors seem rather washed-out and duller than those of more consumer-grade models, such as the Razer Blade Stealth and Dell XPS 13. 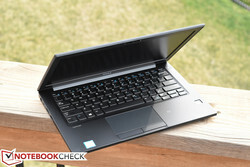 Nevertheless, most other business laptops suffer the same fate, so this is hardly an outlier in that regard. 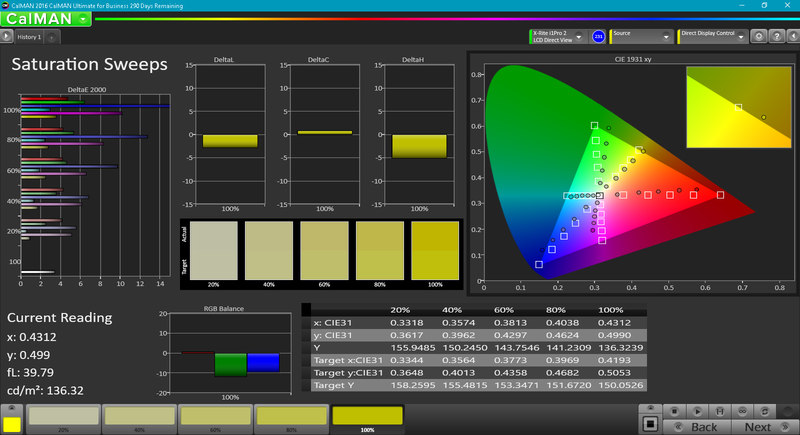 The resolution is quite appropriate for the panel size, providing ample sharpness with a PPI of 176. Other options also exist, ranging from an inexpensive 1366x768 resolution 200 nit brightness panel all the way up to two touchscreen options—both 1080p, but one with a woven carbon fiber display lid, and the other with a conventional magnesium alloy back (similar to ours). 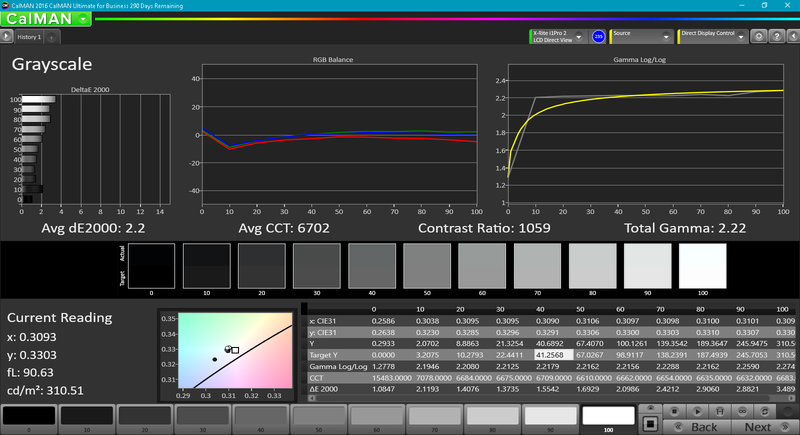 Our brightness and contrast measurements reveal an average brightness of 300.7 cd/m² and a contrast ratio of 970:1, both of which are good overall (the relatively low black level of 0.32 cd/m² contributes to the high contrast performance). Brightness distribution sits at 88%, which is also very good and indicative of an evenly-lit panel. sRGB measurements explain our reservations about display color and saturation. We recorded just 42% of AdobeRGB and 65% of sRGB coverage in our testing, which interestingly is nearly identical to two other laptops in our comparison field (the Elitebook 820 G4 and ThinkPad X260), even in spite of their featuring different display panels. 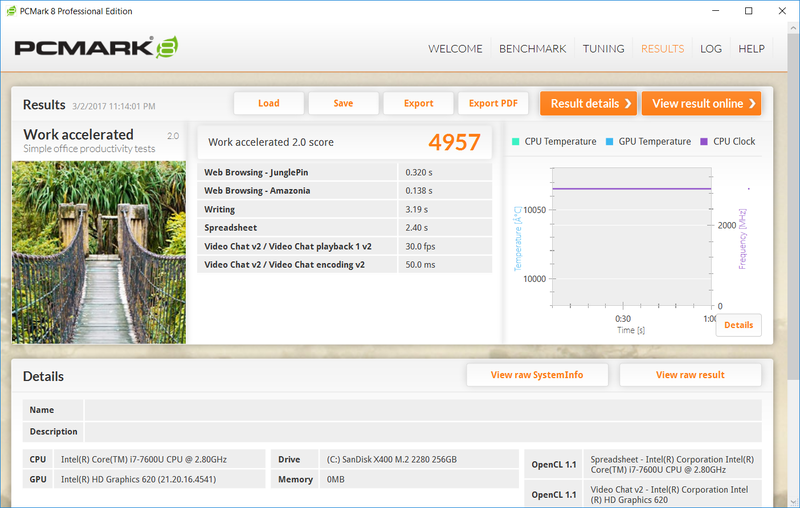 This result is actually better than the E7270 managed (38% and 59%, respectively). Still, it’s a far cry from attractive saturation levels and will hardly satisfy those intending on using the machine for photo editing or graphic design. CalMAN measurements are also right in line with the competition and quite a better than the previous Latitude 12. 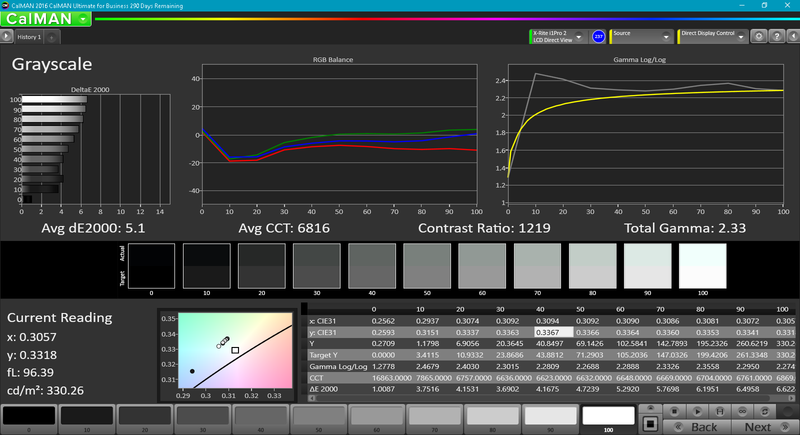 With ColorChecker and Greyscale DeltaE2000 values of 5.9 and 5.1 (ideal: 0), as well as a Total Gamma of 2.33 (idea: 2.2) and CCT Average of 6816K (ideal: 6500K), at least accuracy is unlikely to offend most users. That being said, pure blue was way off the charts in our measurements, with magenta not too far behind it (see our screenshots below for full details). Outdoors, the Latitude handles the sun fairly admirably thanks to its matte display finish and high brightness and contrast. However, full-on sunlight quickly washes out the display and makes usage very difficult. Shaded areas, on the other hand, present few issues. Viewing angles are excellent as always is the case for IPS panels. Various configurations exist for the Latitude 7280, ranging from Core i3 CPU options all the way to Core i7 dual-core processors, anywhere from 4 GB to 16 GB of single-channel DDR4-2133 MHz RAM (there is only one RAM slot available), and M.2 form factor solid-state drives spanning 128 GB up to 1 TB in capacity (both PCIe and conventional SATA). 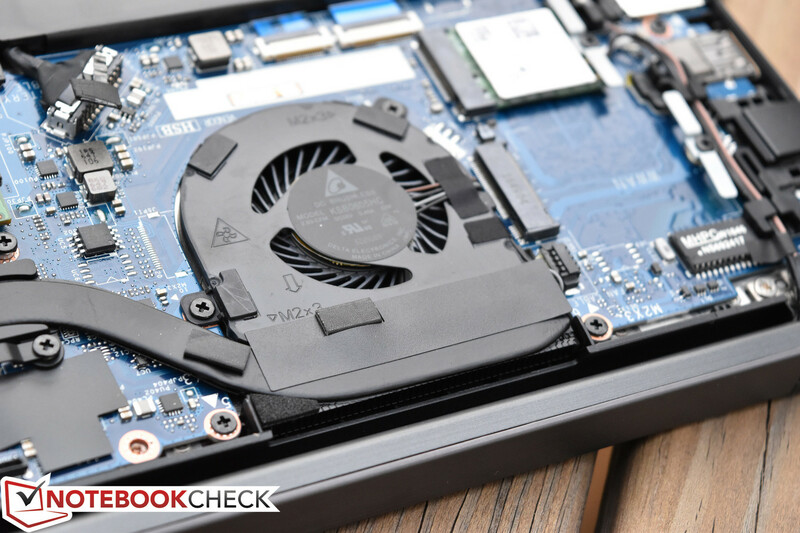 Our particular review configuration features a Core i7-7600U dual-core CPU, 8 GB of single-channel DDR4-2133 MHz RAM, and a 256 GB M.2 SSD. 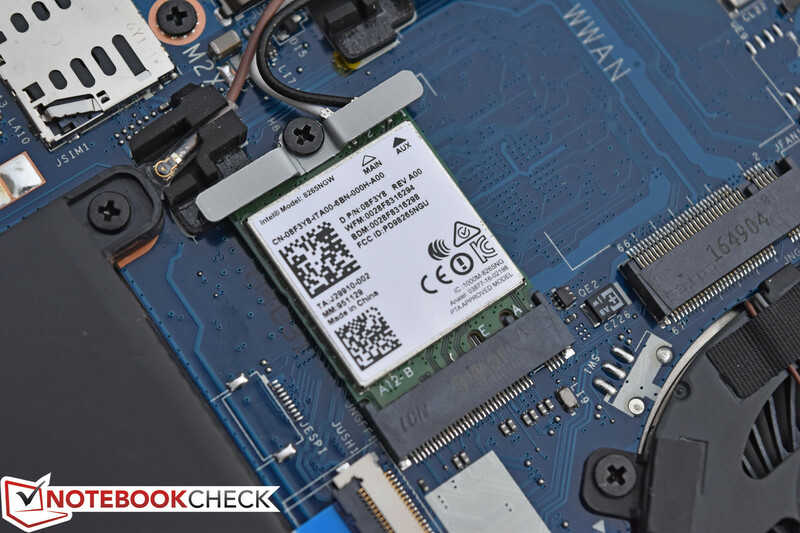 Both the RAM and the storage drive can be easily upgraded aftermarket if the user chooses thanks to the relatively simple maintenance design. 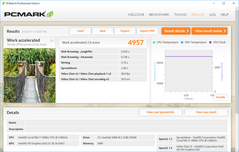 LatencyMon reported some challenges with regard to DPC Latencies complicating real-time video and audio streaming efforts. Disabling all wireless connectivity did not rectify these issues, so their origins are unfortunately unclear. 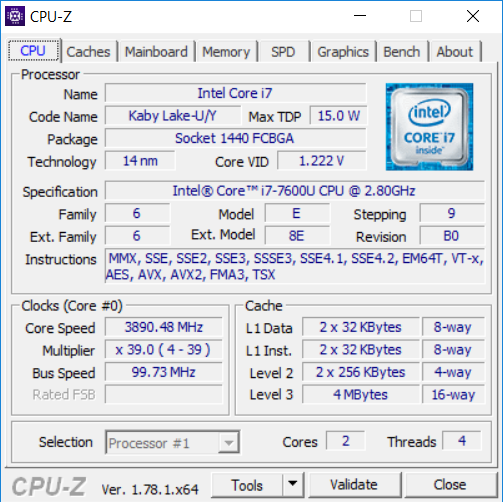 The Kaby Lake Intel Core i7-7600U is a brand new CPU first announced just a couple of months ago in January 2017, and it’s proving to be an impressive piece of silicon. 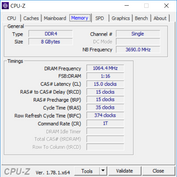 It’s manufactured using a 14 nm process and it features improved turbo clock rates spanning all the way to 3.9 GHz (for both single and dual-core operation). 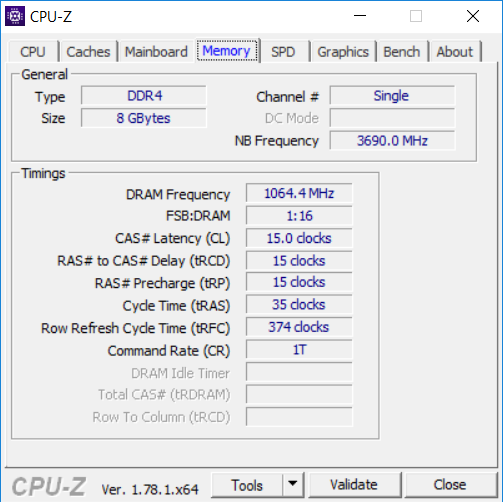 It also includes Hyper-Threading support, all while maintaining the same TDP of just 15 W. By comparison, the previous-generation Skylake contender (the Core i7-6500U) can only manage up to 3.1 GHz single-core and 3.0 GHz dual-core. That’s a huge difference in possible speeds. Thus, it’s no surprise that the Latitude 7280 easily declares victory over its competitors in every single CPU benchmark we put it through. The margins range all the way up to a 15% advantage, which is quite impressive given that, again, TDP remains the same. We will have to see how this affects power consumption and battery life later on in our review, but for now, we’re impressed. 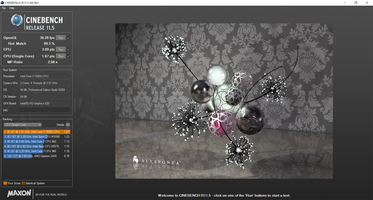 Check out our full results below for much more detail and comparisons to other models. And for much more information about the Core i7-7600U, don’t miss our dedicated CPU page here. 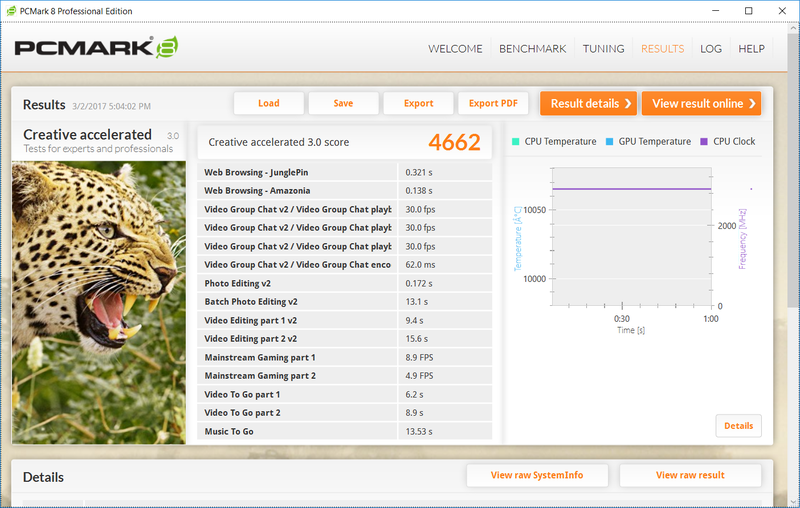 General system performance is just as good: with scores of 4957 and 4662 in PCMark 8 Work and Creative, respectively, our synthetic benchmarks certainly indicate a nimble machine. These scores are even higher than the HP EliteBook (albeit, only slightly), which packs a Samsung NVMe SSD (a PM951). 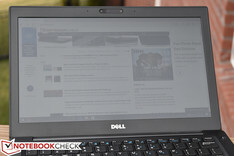 Subjectively, we certainly feel the same way: the Latitude 7280 is fast to do just about everything: boot, launch applications, sleep, and resume. Storage options for the 7280 range from 128 GB up to 1 TB in capacity, all of which are M.2 form factor solid-state drives (the only storage slot available in this tiny machine). Some of these options are conventional M.2 SATA (like ours) and others are NVMe/PCIe drives, since the Latitude supports both. Our particular drive was a 256 GB M.2 SATA (“Class 20” as Dell refers to it) drive: a SanDisk X400 M.2 2280 model specifically. 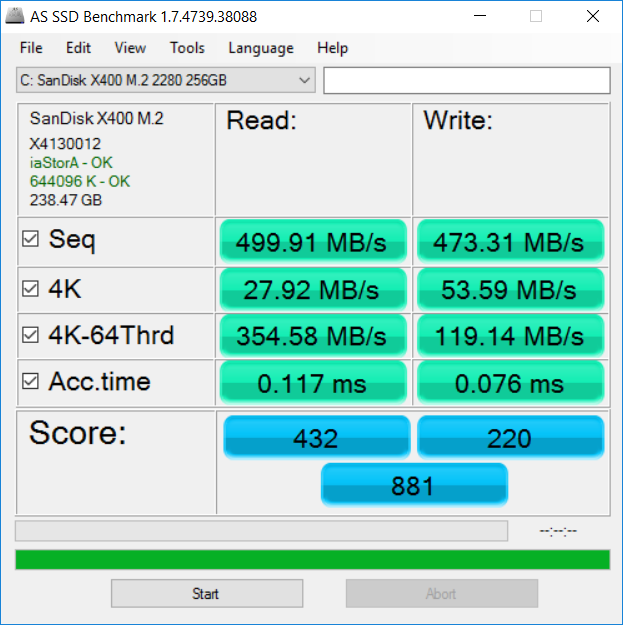 It’s a very fast contender, recording sequential read and write speeds of 499.91 MB/s and 473.31 MB/s, respectively, in AS SSD, as well as fairly good 4K-64 speeds of 354.58/119.14 MBs (read/write) on top of that. 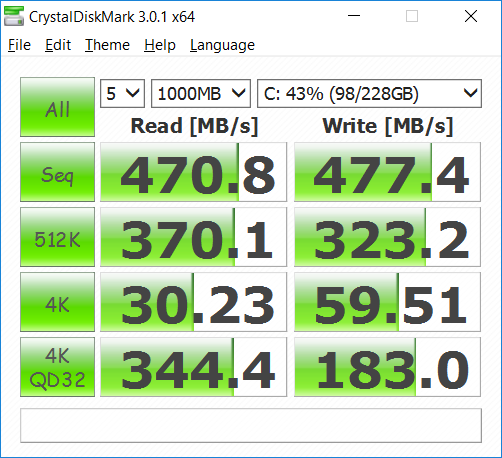 Discrepancies are obvious when compared to NVMe drives such as the HP EliteBook 820 G4’s Samsung PM951, but nevertheless, most users will never know the difference. Besides, aftermarket replacements and upgrades are rendered easy by the carefree maintenance design. The M.2 slot is readily available beyond the bottom cover, and so swapping out for the drive of your choice is an easy process. 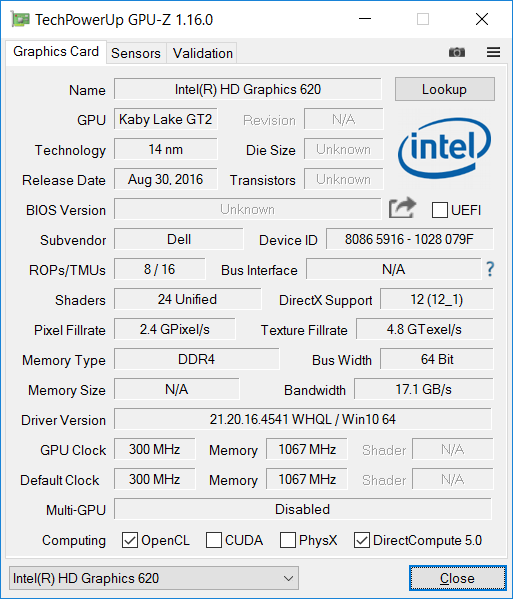 The Latitude 7280 predictably leverages integrated graphics (not surprising given its size and power constraints)—specifically, Intel HD Graphics 620, which is the Kaby Lake GPU replacing Skylake’s Intel HD Graphics 520. 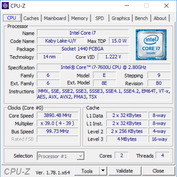 The specific CPU in our review unit (the Intel Core i7-7600U) features an accompanying HD Graphics 620 GPU clock rate ranging from 300 to 1150 MHz. 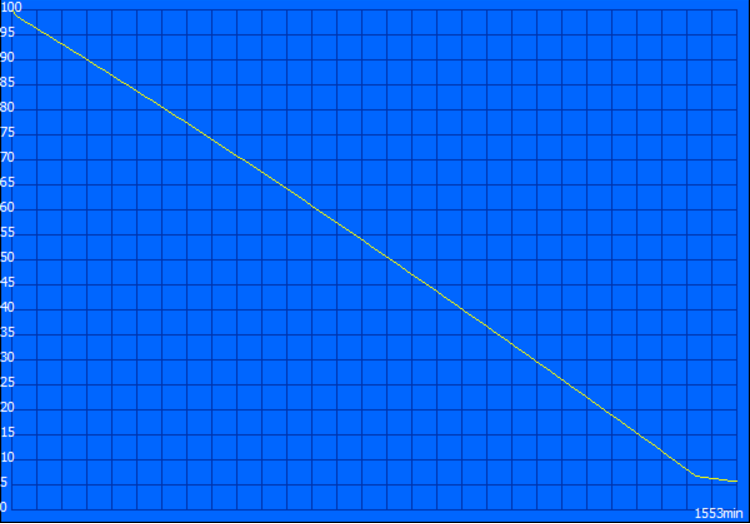 Whereas general system performance is overwhelmingly positive, GPU performance is less convincing. 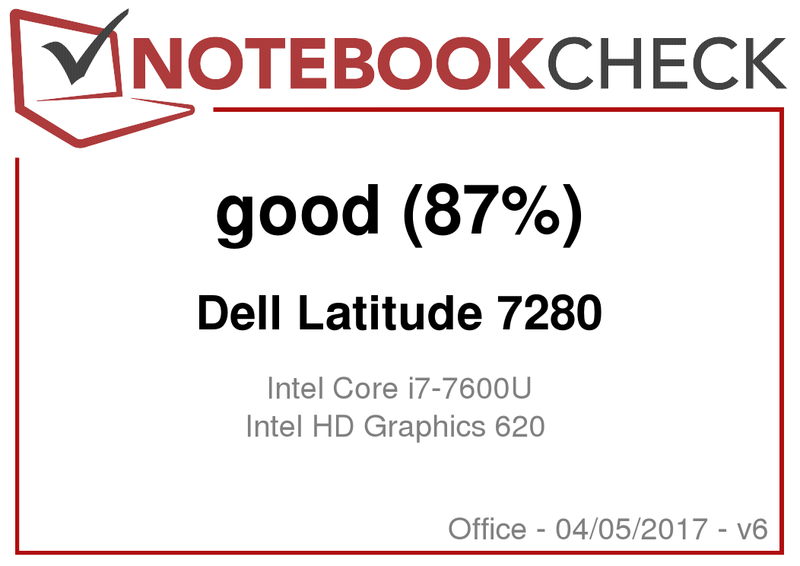 Although the Latitude 7280 outclasses its Skylake HD Graphics 520 rivals by roughly 10% in all GPU-specific benchmarks, it is consistently the lowest performer amongst the three HD Graphics 620 competitors in our field. 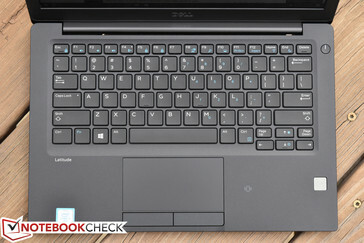 The reasons behind this are fairly obvious after a bit of analysis, however: for starters, the Latitude 7280 features single-channel memory, which places it well below the Razer Blade Stealth. 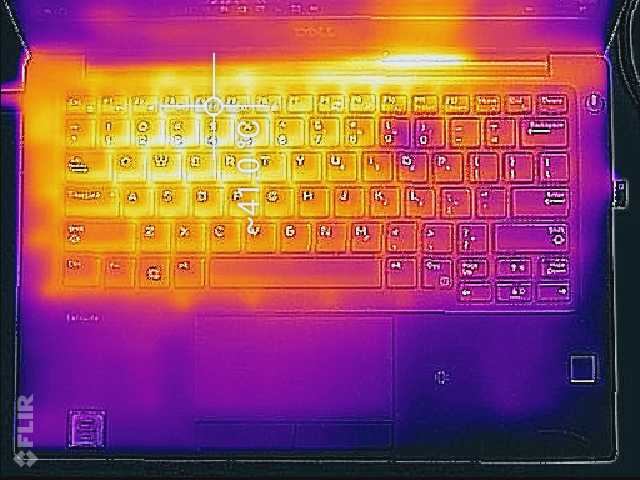 However, we also encountered some degree of thermal/conservative cooling constraints, as we’ll expound upon in later sections of our review—so that likely explains the remaining discrepancy between the Latitude and, for instance, the EliteBook, which also features single-channel memory. 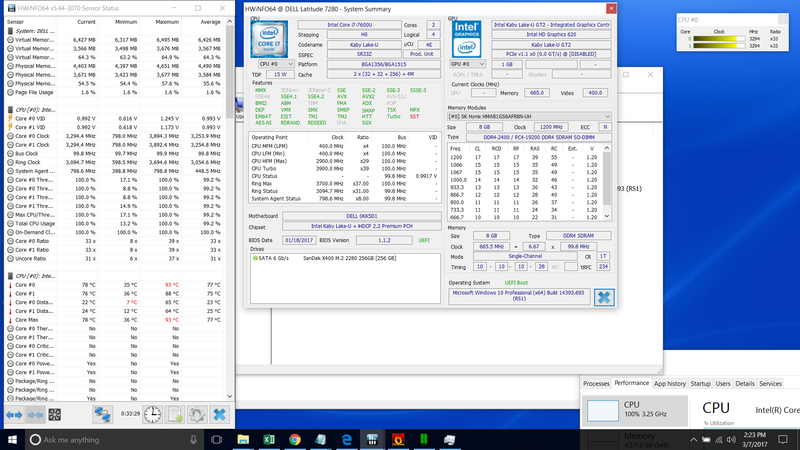 During our CPU stress test, the Latitude 7280 began at 3.9 GHz for both cores before dropping down after 30 seconds to around 3.25 GHz. 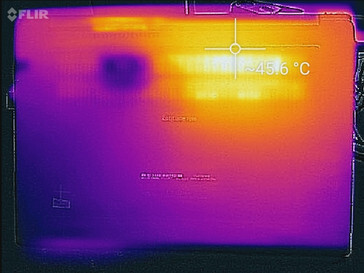 The drop occurs after CPU cores approach and eventually cross 90 °C thanks to the rather conservative cooling policy, which holds fan speeds to surprisingly low levels. 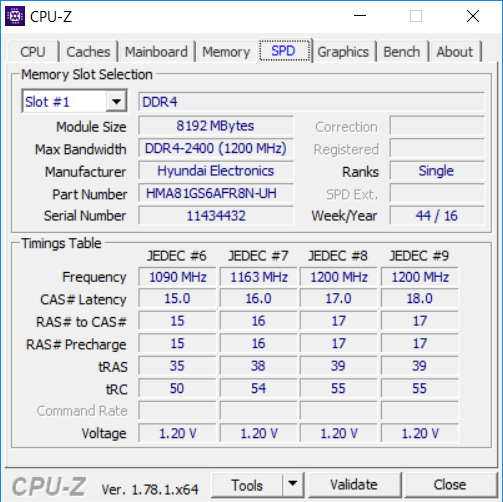 In regards to the latter, the fan stays almost inaudibly quiet for the first few minutes of stress testing before eventually reaching more noticeable speeds. 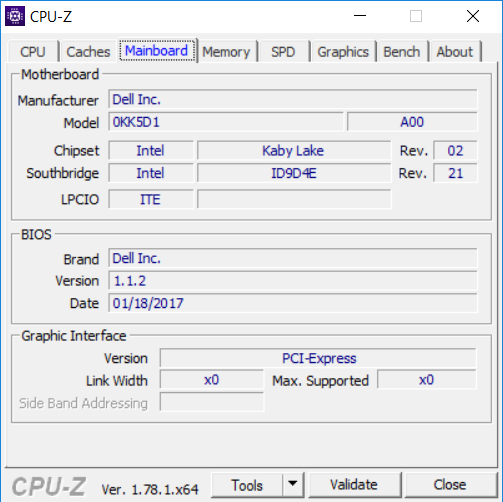 This suggests that the Latitude 7280 will perform appreciably better than other systems in short bursts, but that under sustained load, the cost difference between the Core i5 and Core i7 models is likely not justified. 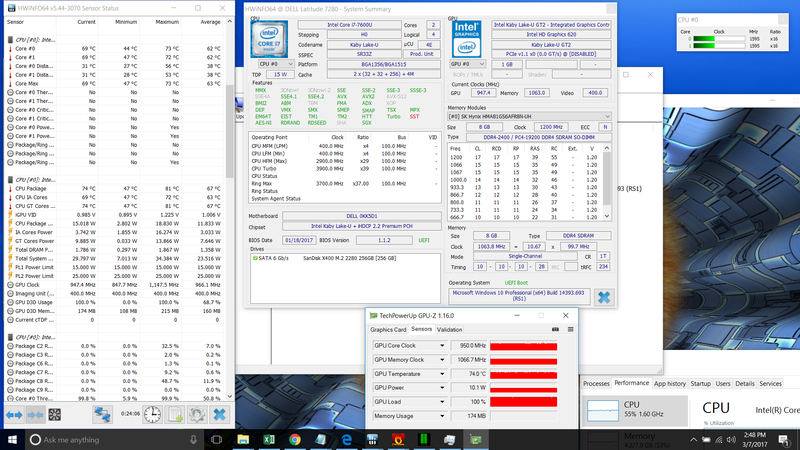 Under GPU stress, the Intel HD Graphics 620 adapter reports 1000 MHz stable frequencies with average temperatures around 72 °C (with a maximum of 81 °C). 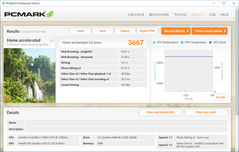 Combined stress finally sees the first incidence of throttling, which occurs on the CPU side rather than the GPU. 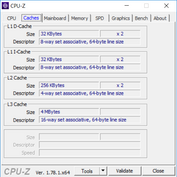 The processor stays glued to a 1.6 GHz clock rate across both cores with occasional dips to 1.5 GHz, while the GPU maintains 950 MHz indefinitely. 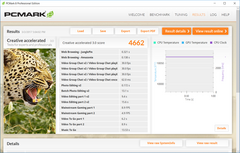 Temperatures are comparable to those during GPU stress, with averages hovering near 74 °C with a high once again of 81 °C. 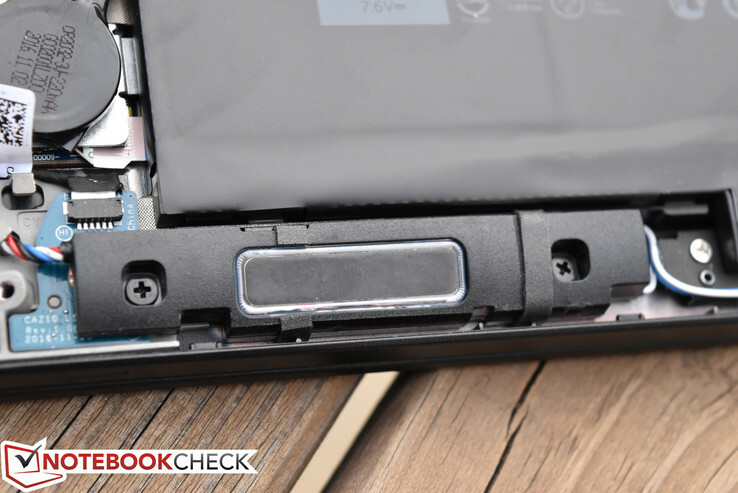 To review one of the primary case revisions we discussed earlier, the Latitude 7280 exchanges the longstanding dual-hinge design for a single central hinge nearly identical to that of the XPS 13. It is this modification which also allows for the incorporation of the exhaust vent in the hinge cavity, which arguably is a much more convenient location for both lap-based and desk-based usage (both in terms of comfort and even noise levels). 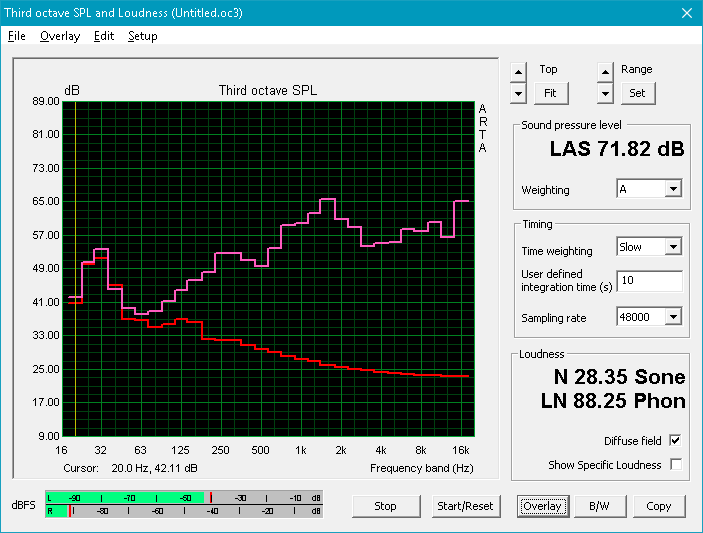 Fan noise on the Latitude 7280 is not far off from that of the predecessor (the E7270), except the fan is notably more delayed in its operation. 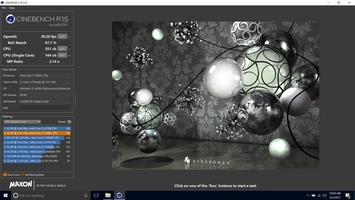 The machine seems to absolutely favor lower noise levels over cooling performance, as CPU/GPU clock rates are also reduced in conjunction with fan RPM to accommodate a quieter workspace. 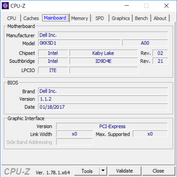 Users can adjust this accordingly to some extent using the well-known Dell Command Power Manager software, but we did not explore that software in this review. 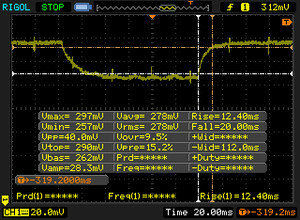 Suffice it to say, the 7280 is overall, in general operation, and extremely quiet machine in terms of fan noise—and that in nearly all cases, the fan is not even audible. Unfortunately, as impressive as the fan noise performance is, we have another entirely different item to address in this section: CPU coil whine. 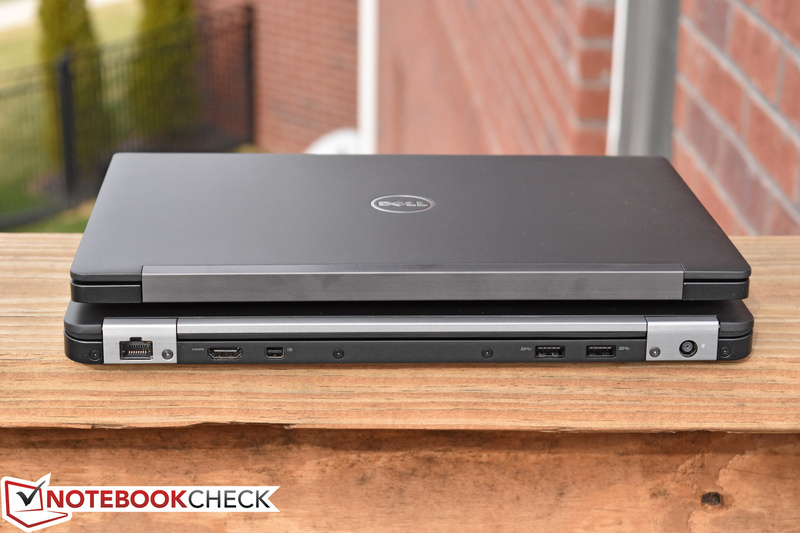 Dell Ultrabooks have long suffered from this affliction, and sadly, depending on usage, the 7280 is as serious an offender as any other. Specifically while running on AC power, and possibly to a greater extent when fully-charged and idling, our test unit’s coil whine is obvious to anyone with reasonably good hearing. 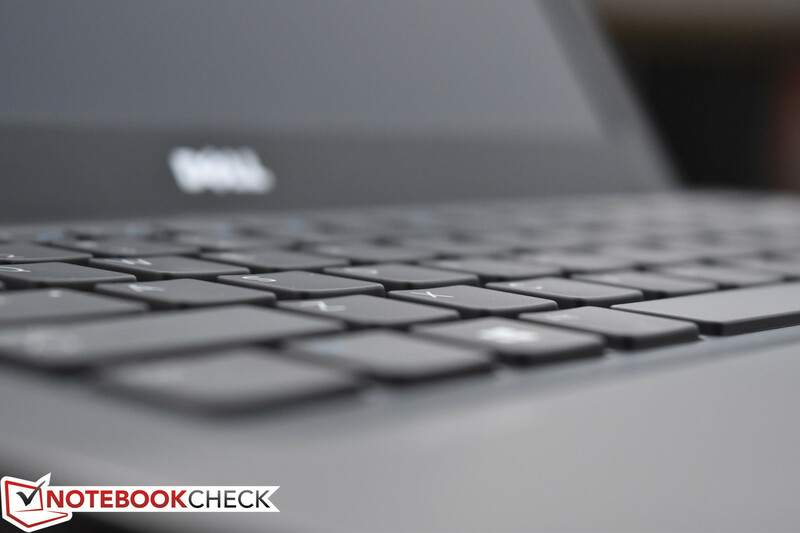 It’s possible that this problem may not apply to all Latitude 7280 laptops, but it’s worth pointing out that it’s unfortunately alive and well in ours. System temperatures remain thoroughly manageable—comfortable, even, in most cases—in spite of the low fan noise. We measured averages of 25.8 °C and 26.8 °C on top and bottom while idle and 31.9 °C / 34.7 °C in those same regions under load. A sole hot spot of 45.4 °C develops on the center top quadrant of the underside of the unit, but that’s conveniently located between the user’s legs during lap-based operation. Overall, the 7280 does a fine job of managing its thermals. The Latitude 7280’s speakers will blow you away upon first introduction—that is, provided you enable and tweak the included Waves MaxxAudio post-processing software, which is probably the most effective of any such software packages we’ve evaluated. This isn’t the first time we’ve seen this with the Latitude 7000 line, either; these machines are almost consistently supplied with high-quality, loud, well-balanced speakers which seem to defy their own size. Of course, you won’t get anything close to the level of low-frequency rumble or power that you would in a system with a dedicated subwoofer or larger drivers, but for its size, it sounds pretty terrific. 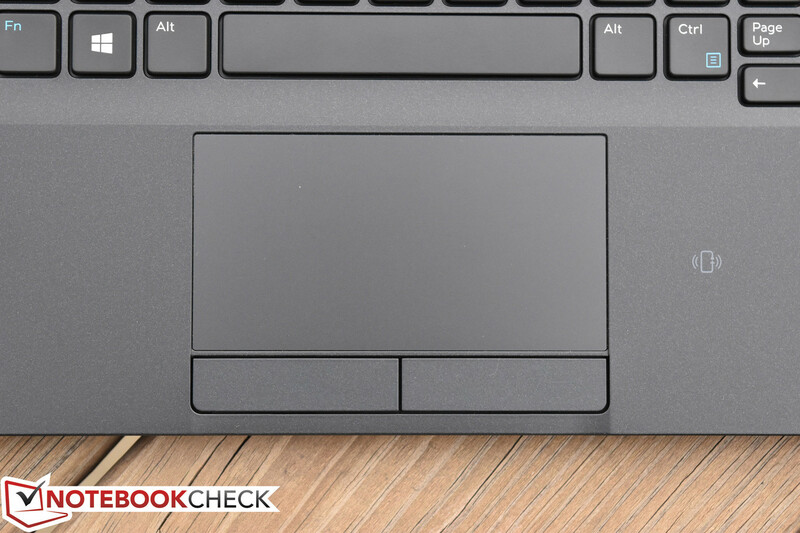 Our power measurements suggest what is likely to be very good battery life, with an idle average of just 5.11 W and load average of still just 30 W. The EliteBook manages lower consumption across the board, but only by a small amount—and the rest of the field can’t quite keep up. 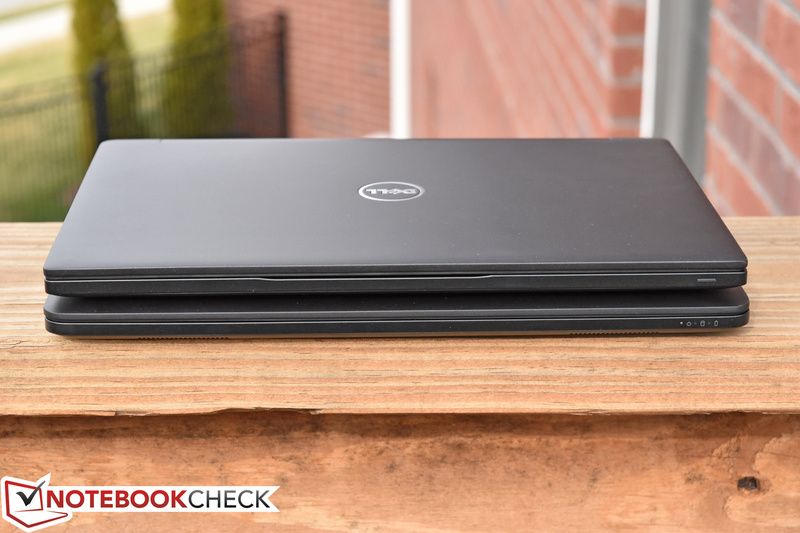 As predicted, the Dell Latitude 7280 features remarkably good battery life. 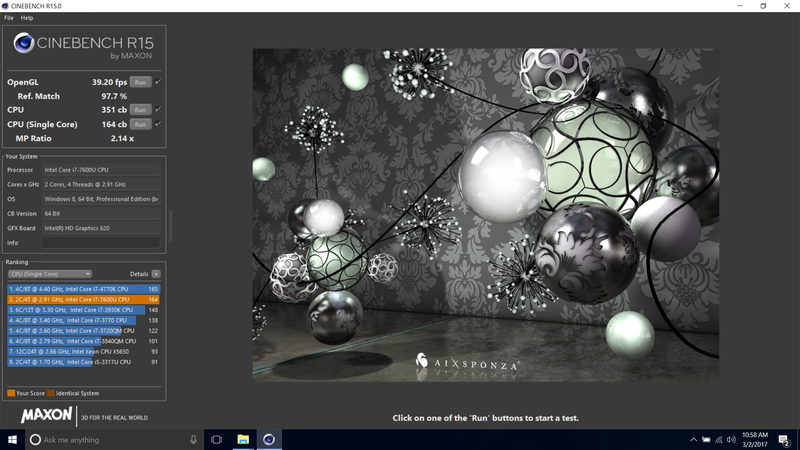 Our initial Wi-Fi Surfing benchmark produced a runtime of over 19 hours, but due to suspicions that something may have gone wrong, we later re-ran it while closely observing and noticed that problems with Microsoft Edge completing the benchmark on this particular machine were inflating the overall results. 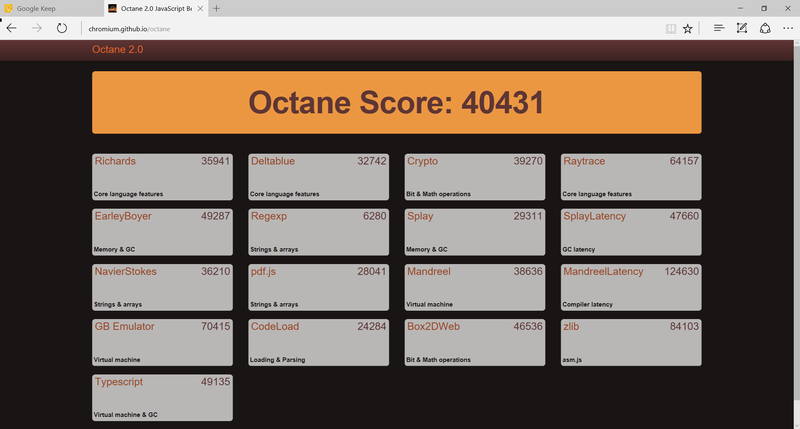 We therefore completed a third benchmark using Chrome, which is a considerably more power-hungry browser, but which did not experience the issue. That result with far lower at 11 hours and 22 minutes. The actual result (as it would have been in Edge, comparable across the rest of our battery benchmarks from other machines) is likely someplace in between; we'd estimate between 14 and 16 hours. 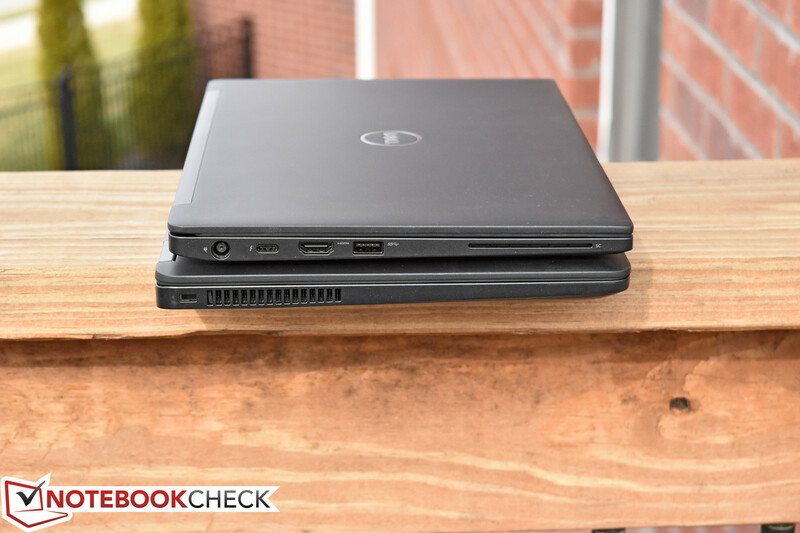 Though that isn't as showstopping as 19+ hours, it's still incredibly good overall, and better than any other laptop in the immediate comparison field. 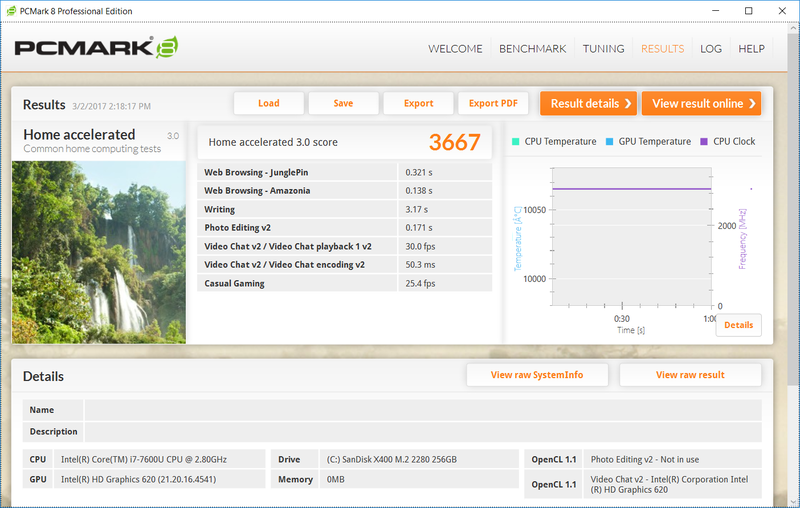 Load usage was obviously quite a bit lower at 2 hours and 39 minutes, but considering that we are evaluating a top-end dual-core i7 CPU, that’s still more than we might have expected. 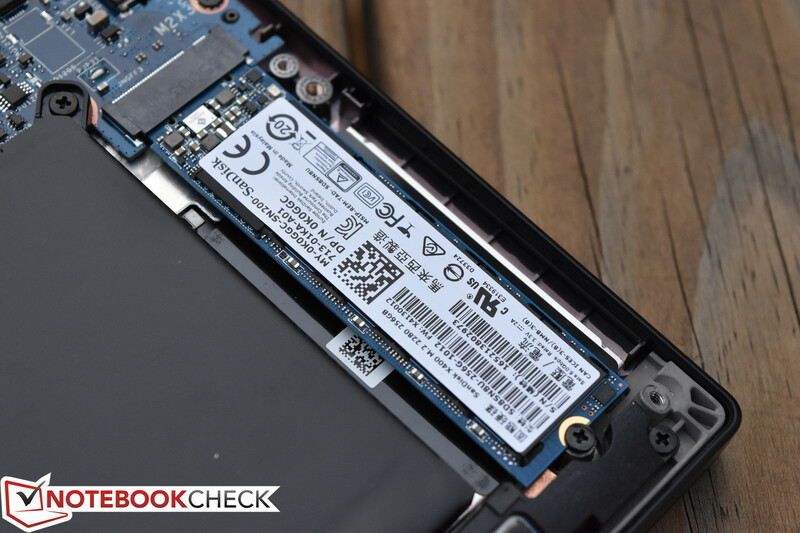 To thank for these terrific results are both the ever-efficient Core i7-7600U CPU and the oversized 60 Wh battery (larger than most of today’s competitors). 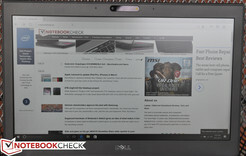 There is little doubt that the Latitude 7280 could get pretty much anyone through a day’s work without much of a problem. 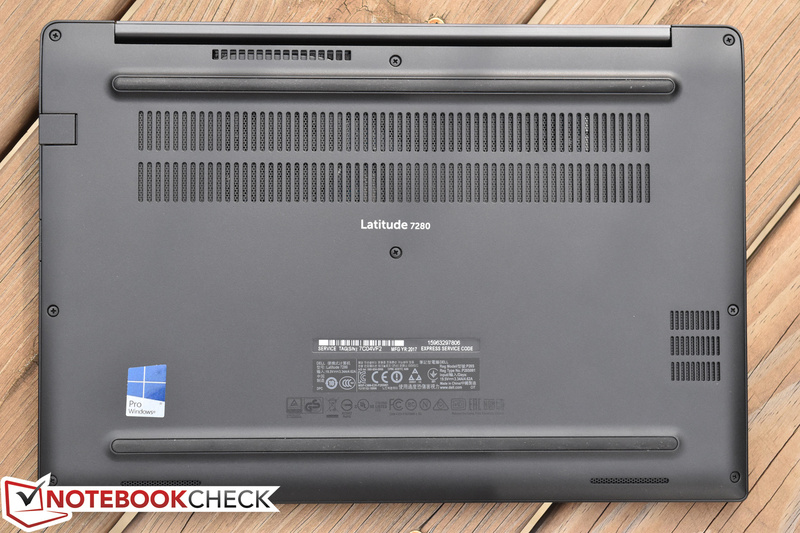 The Latitude 7280 is probably the most significant revision in the Latitude 7000 series we’ve seen since its introduction a few years back. Although the movement has been in progress for some time, the 7280 does more to incorporate consumer-grade luxuries into the existing pool of business-grade sensibilities for which these machines are known than did any of its predecessors. The result is a product which still looks and feels very much professional even in spite of its sleeker and more portable form factor, but which does come with a few substantial compromises. The first of these is maintainability, which—while still overall very good—is not on the level of its predecessors. Such services as keyboard and display panel replacements are rendered significantly more challenging by the design changes, which will likely irk some IT departments. 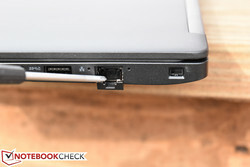 The next compromise is that of connectivity; the ports are perhaps more conveniently arranged on the 7280, but it lacks a dedicated docking station port, mini-DisplayPort, and a third Type-A USB port (instead exchanging all three of them for a single USB Type-C/Thunderbolt) and it shrinks the previously full-sized SD card reader down to microSD instead. 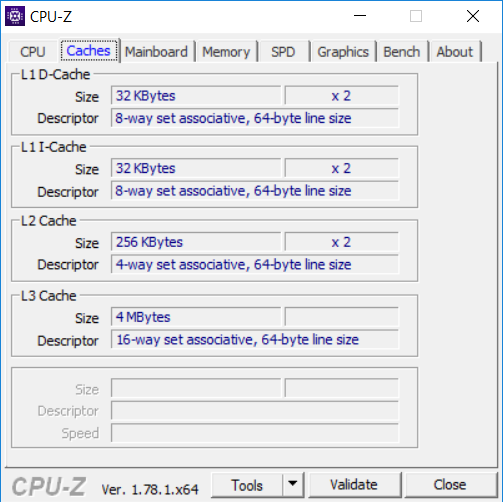 We also found that our particular review unit could not handle sustained system CPU stress without quickly (within 30 seconds) reducing turbo clock rates, essentially erasing most of the performance gains that one might expect from the top-end dual-core Core i7 CPU it packs. In addition to these inadequacies (the significance of which is quite subjective), the 7280 retains a couple of the (albeit relatively minor) flaws of its predecessor. The display panel, while bright and high-resolution, remains rather dull in terms of color gamut coverage, and the touchpad is still merely average (though it does provide two physical hardware buttons). 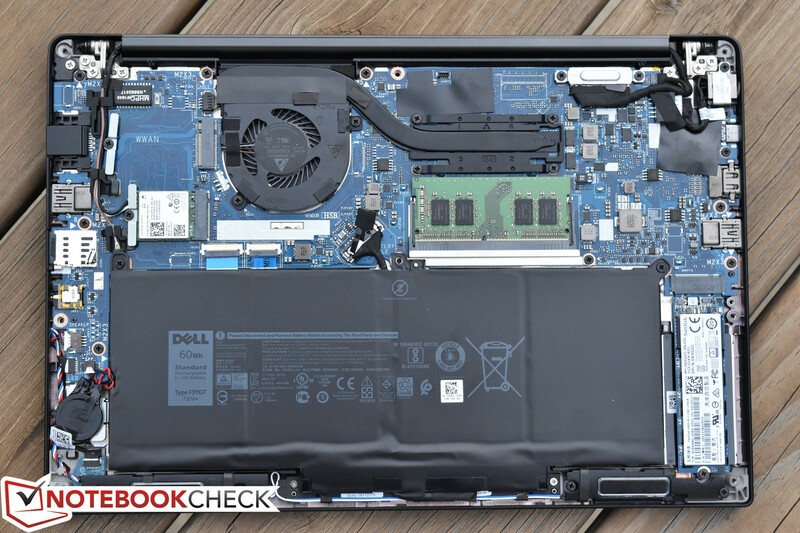 And we’re sorry to report that our review unit absolutely possesses the venerable CPU whine symptoms that many have encountered on some previous Dell Ultrabooks. 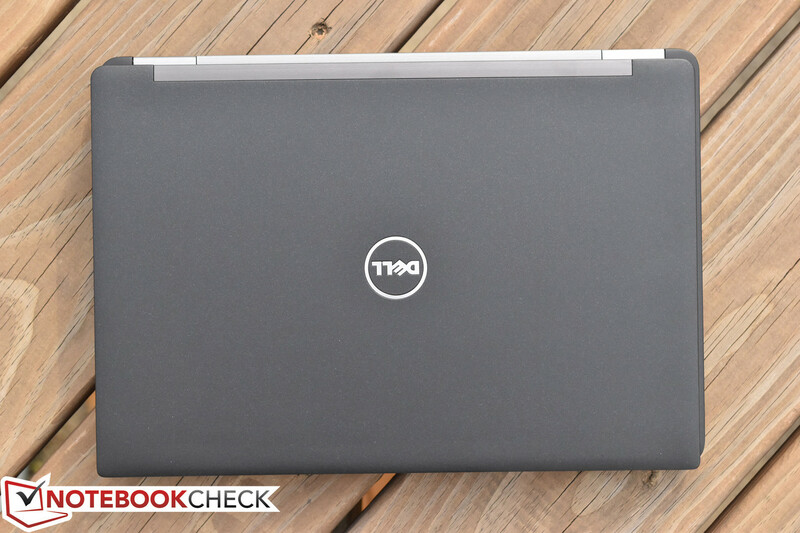 Although it has its share of potentially significant drawbacks (depending on the buyer and their usage), if you can tolerate those, there remains an awful lot to like about the Latitude 7280. But beyond these negatives, there are also quite a few positives to take into account. For starters, the 7280’s build quality is impeccable, with hardly any flex and a wonderfully ergonomic feel despite its thin and light profile. Battery life is positively outstanding. The keyboard is among the best in its class. 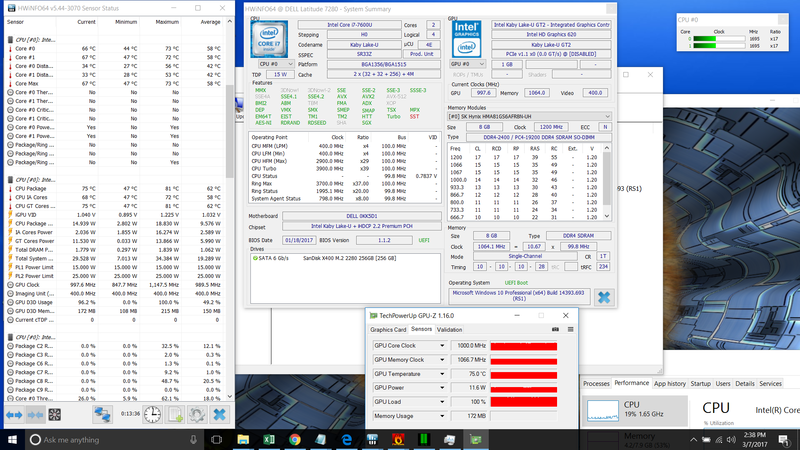 The machine is practically silent (apart from the CPU noise) during most usage, and it still manages reasonable temperatures. 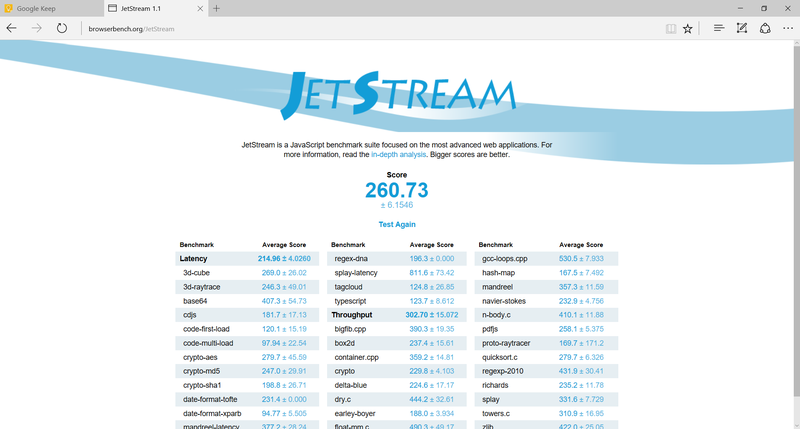 And performance is blisteringly fast in general system operation, with synthetic application benchmarks putting most others to shame. For those unfazed by the shortcomings we mentioned above, this is an extremely solid and well-designed ultraportable business machine. 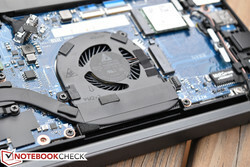 For others, the E7270 might still present a more enticing package, or the EliteBook 820 G4 or ThinkPad X260 may prove better options.